Acoustic and electronic sounds merge on »Aquarium Eyes«. Paying great attention to detail, Ritornell recorded at various locations (the studio of Patrick Pulsinger being one of them). The results are gently woven into their very own world of sound. 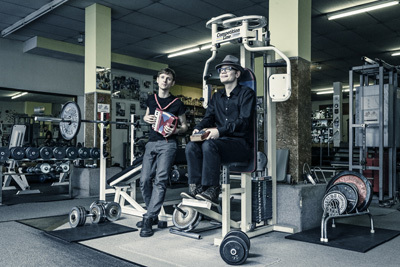 Defamiliarized by subtle electronic manipulation, instruments such as piano, double bass, vibraphone, kalimba, and accordion develop a surprising life of their own, only to be consequently swallowed up by the hissing and buzzing of electronic devices. Gleaming multi-layered electro-acoustic drones, isolated organic sounds, and sophisticated textures complete the intricate arrangements. 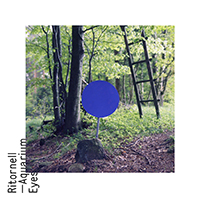 On »Aquarium Eyes«, Ritornell tackle the art of songwriting for the first time: Vienna based vocalist Mimu sings, whispers, and sighs golden threads through some of the fragile sound structures that Gerold and Eigner assembled with intuition. The duo also collaborated with vocal artist Didi Bruckmayer on the track »Tremble«. »Music Box« is a conceptual piece: Under the direction of Richard Eigner, 20 people simultaneously turn the levers of their music boxes: Melodies of musical history blend into a sparkling confusion of sound. With their interpretation of »In Every Dream Home A Heartache«, Ritornell finally present their very own version of a Roxy Music song, albeit with a twist: the guitars from the original have been replaced by a string trio. Richard Eigner, born in Linz in 1983, works mainly as a composer and sound-artist, but he has also contributed as a drummer to various productions, such as Patrick Wolf's album »Magic Position«. In 2005 he won the Elektronikland award for experimental electronic music. Besides quite a few other musical projects he is managing his own label, Wald Entertainment. Roman Gerold, an awardee himself and born the same year as Eigner, has been working as a pianist for various jazz bands in Austria between 1996 and 2003. In 2002 he began studying multimedia-art in Salzburg and changed to German philology in 2006. He's composing his music freelance for theatre and film. Live Eigner & Gerold showcase their material as a electro-acoustic quartet together with Mimu Merz and Gerhard Daurer. They focus on improvisation with a very reduced instrumental set up. While Gerhard Daurer maxes out the possibilities of his specially devised gamepad-granular-synthesizer, Roman Gerold is adding subtle melodies and vivid drones as well as processing the live-inputs of the acoustic instruments. Richard Eigner again provides the electronic improvisations with fine acoustic rhythms and textures, playing his ride-cymbal with the use of diverse utensils such as bass bows, sizzle-chains or a toilet brush.